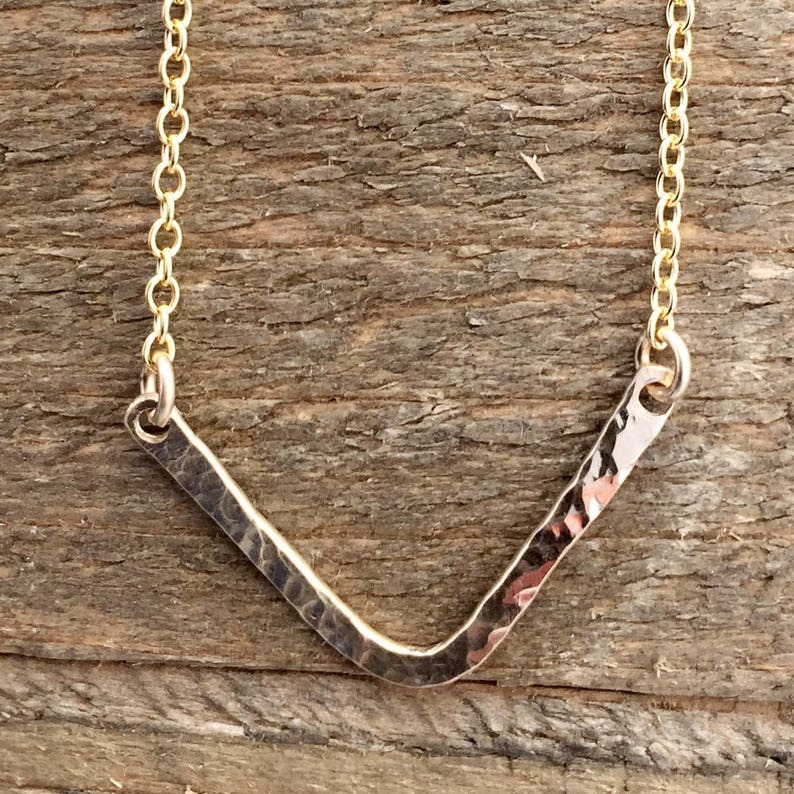 Chevron 14 K Gold-Filled Necklace, Hammered Chevron Necklace, Minimalist Jewelry, Gold Chevron Necklace, Layering Necklace, part of My Sweet September's new Mixed Metal Collection! 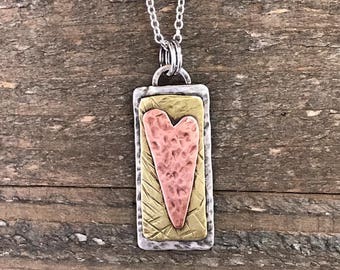 The chevron measures approximately 1 1/4 inches wide and hangs down from the necklace chain approximately 3/4 inch. 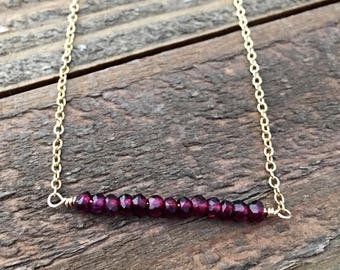 It is small and delicate and perfect for layering with other necklaces. 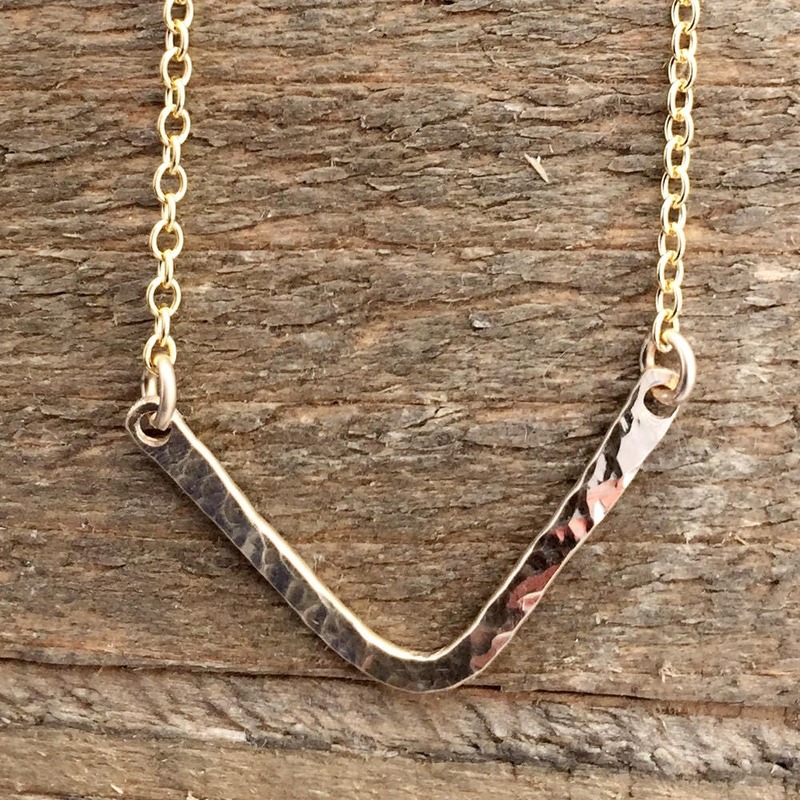 Each necklace may vary slightly from the one pictured since they are all hand-forged and made at the time of purchase.